Get one organic, home-raised SCOBY and get started! With a MOBY SCOBY of your own, it’s easy, it’s inexpensive and your tea will be tasty and healthy! 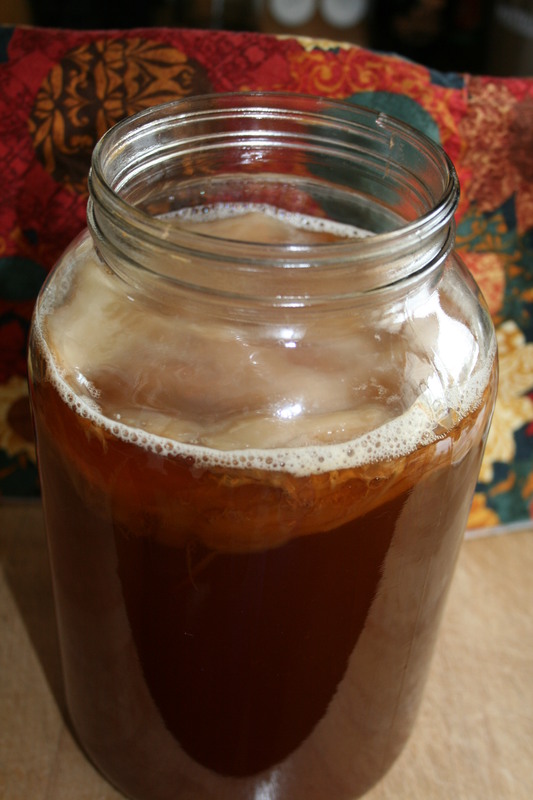 A SCOBY (Symbiotic Collection of Bacteria and Yeast), a cup of starter tea, easy to follow instructions for starting your first brew and some easy recipes and flavoring ideas. Get started making your own kombucha, save some money and enjoy all the health benefits of drinking probiotic kombucha you make, yourself. 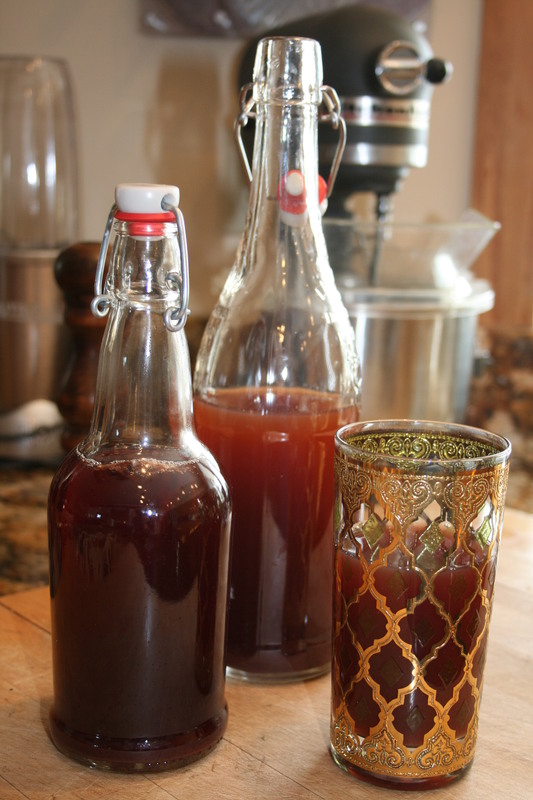 Brewing your own Kombucha is easy, economical, and it tastes good. Buy it in a store and you’ll pay $5 per bottle! Make it yourself and get a gallon of fresh kombucha for the cost of 4 Tablespoons of black tea and 1 cup of sugar! The SCOBY makes kombucha easy. Making kombucha is easy…so don’t let the directions scare you. It’s just like any recipe, make it a few times and you get the rhythm. Organic Black tea or Green loose-leaf tea (Camellia sinensis). Use unflavored tea, as essential oils and flavorings can adversely affect the culture. White sugar – they seem to like plain white sugar but you can use organic cane sugar. Distilled, spring, or well water. Chlorinated or treated water can harm the kombucha culture. Bring a gallon of water to a boil, then turn off the heat and immediately add 4 TBSP of loose tea and 1 cup of organic sugar. Cover pot with a lid, and cool to room temperature. If it’s too warm (anything approaching 90° kills the organisms), it will kill the SCOBY so be patient. Add your SCOBY and the starter liquid that came with it to the gallon jar. Again, you only hve to do this is for the first batch you make. Cover the container with a clean cloth, kitchen towel, or handkerchief and a rubber band. Place it in a warm spot (I put mine in the oven with the oven light on) that is out of direct sunlight and where it won’t be disturbed or moved. Make sure that the cloth or towel is breathable but the weave is tight enough to keep fruit flies, gnats, and other undesirables out. Your SCOBY may sink or float on the top, both are okay. In 2-3 days, you may also see a translucent jelly like mass floating on the top of your tea. This is a new SCOBY beginning to form. Leave it undisturbed so that it can grow properly. Taste your kombucha 7 or 8 days after starting it and periodically after that. How long it takes to make a batch depends on the temperature of your home and how sweet or sour you’d like it to be. Most batches will be ready in 7-14 days. Ideally, the kombucha should have a slightly sharp and acidic bite. The longer it brews, the sharper it gets. When your kombucha is ready, pour all but the last 2 cups into a clean jar, straining it as you pour to catch any tiny SCOBYs that may be starting. Leave the mother SCOBY in the original jar while you bottle your batch. NOTE: keeping the mother SCOBY in the original jar minimizes contact and automatically reserves the 1-2 cups of starter liquid you need for your next batch. If you have a baby SCOBY growing with the mother and you want to separate them, now is the time. You can give the new baby to a friend or start a “kombucha hotel” in a separate glass jar that contains enough kombucha to cover the SCOBYs (which is what I do right now). NOTE: keep the kombucha hotel in the refrigerator and remember to add a bit of fresh tea/sugar to your “hotel” every time you brew a new batch. The SCOBYs in the hotel will eat the sugar so you have to feed them. Start your next batch by just pouring the room temperature black tea and sugar mixture over the SCOBY you left in the gallon jar, covering and starting the cycle again. You may leave the kombucha unflavored or include any number of tasty additions. Experiment with fresh or dried fruit, berries, herbs, and spices for whatever flavor suits your mood. Kombucha will naturally have a slight fizziness. To increase the carbonation and level of tartness, leave the bottled kombucha on a countertop for several days after bottling. BURP the bottles to keep the pressure from building up and the brew from spurting out of the bottle when opened. Keep bottles stored in a refrigerator once finished fermenting. Kombucha SCOBYs have an unusual appearance, scent, and feel, but don’t let this discourage you! You’ll quickly grow accustomed to their odd appearance and will get used to handling them. Store your kombucha away from your stove and other cooking appliances. The aroma, smoke, and flavor can all affect your culture. Bacon kombucha? No thanks!